I've seen other posts asking the same question with answers that all refer to a giant button that says "Unpublish" on it, which is no longer there (at least as of 2016). 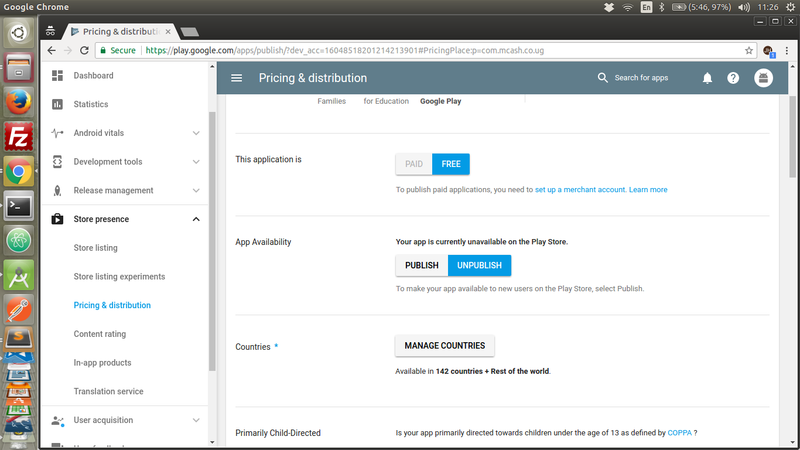 I how do you really unpublish an app that is uploaded to the Google Play Developer Console? An update as of 8/2017 - it appears they have moved this option to another location. Select the App you want 'unpublished' from your dashboard > Store presence > Pricing & distribution. In the current version of Google Play store Console as of(August 2017) here is the procedure of unpublishing your app. Choose the app you wish to unpublish. Go to Store presence > Pricing & distribution. You will see "unpublish" button in the app availability section as shown below. After clicking unpublish a dialog will popup confirm and save the changes. Click that and you're done! Keep in mind: all of the work you have put into this application so far will be deleted from the Google Play Developer Console. This method is similar, however it should be noted that it is not possible to permanently delete an app from your Developer Console once it has been published to the Play Store. 2) Below the title of the app, similar to how it was with the DRAFT application, there will be super low-profile text allowing you the option to unpublish your app from the Play Store. This process "may take a few hours to complete" as it is said by the Developer Console. I hope this helps to answer some people's questions. Click on Store Listing and then click on 'Unpublish App'. The new version is hard to find. Select the app, then look for "3 dot menu" in upper right corner. 2 In left menu item select "Store Preferences"
3 then, select "Price and Distribution"
there you can Publish and Unpublish your app. FYI, they've updated the Google Play developer page again. Now, at the far right, click the vertical ellipsis (like a colon with an extra dot in it). That now has the 'Unpublish App' option. Not the answer you're looking for? Browse other questions tagged google-play-services developer-console or ask your own question. Is it possible to just 'hide' an app from the All Applications list in Google Play Console? 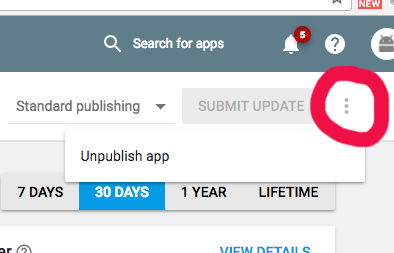 How can I unpublish an app from production and republish beta in google play without creating a new app? 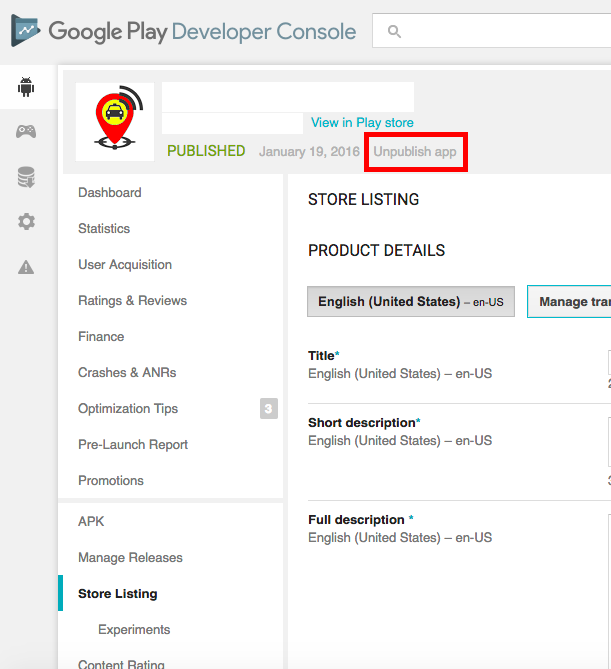 Where is “Unpublish App” button in new Google Play developer console interface?